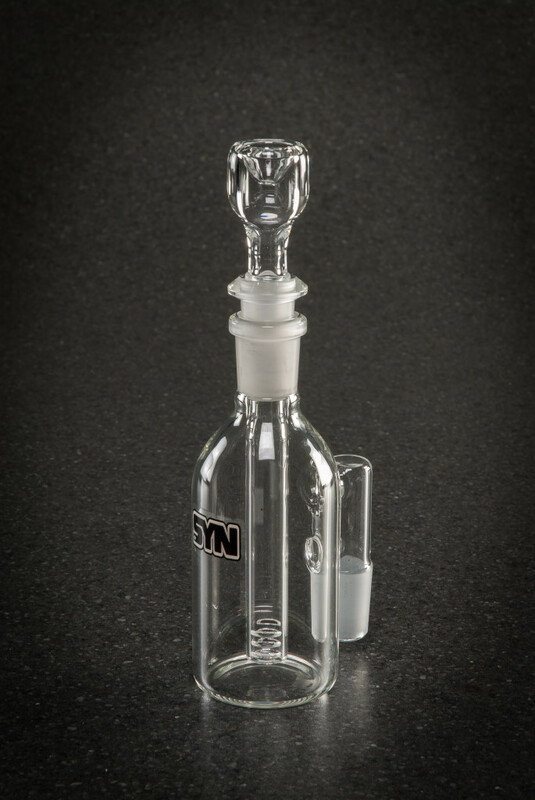 The Pill Bottle Ash Catcher is a production design that has been a staple of the SYN line for nearly a decade. 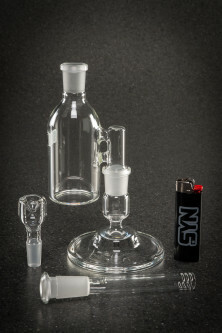 This is a simple design, with a diffused downstem acting as the perc platform. The lack of additional seals keeps the price point down.